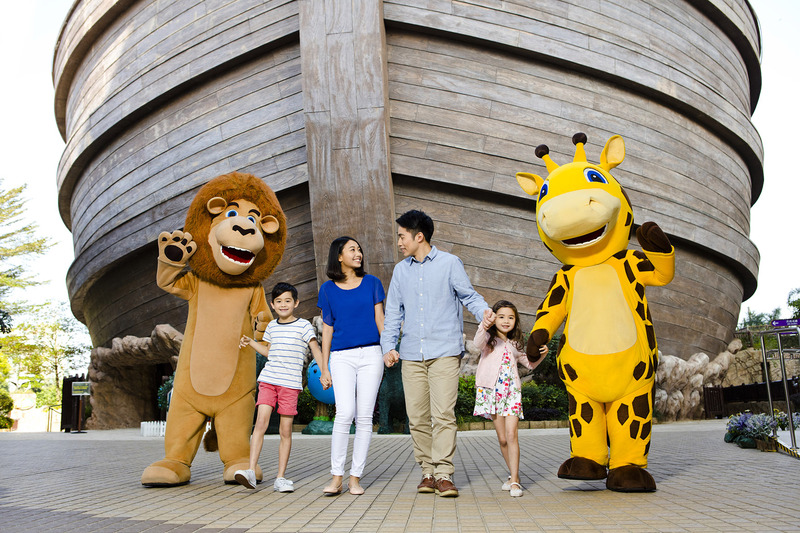 Please contact Noah's Ark directly to redeem your tickets using your iVenture Card. Ark Expo is an amazing multimedia experience with state-of-the-art facilities, including a wide-screen theatre, plus displays of exotic offerings that let people see and learn about the challenges the earth is facing. Do not miss the chances of animal encounter and professional guided-tour! Solar Tower, the learning adventure at Noah’s Ark allows visitors to view activity on the surface of the Sun in real time through a 350mm (just over a foot) in diameter vacuum telescope, one of the largest professional vacuum solar telescopes in South East Asia. Located on the top floor, Noah's Ark Hotel & Resort offers comfortable accommodation with Deluxe Rooms for two people and Family Rooms for four or eight people for a relaxing holiday. The hotel is just steps from the sandy Tung Wan Beach, which provides a restful environment away from the bustling city. The Harvest Restaurant in Hotel also offers guests great tasting international cuisine alongside spectacular views of Tsing Ma Bridge and Ting Kau Bridge. Nature Garden is another major attraction at Ma Wan Park. Thousands of native trees have been preserved here and the paths in the garden are terraced along natural landscapes. 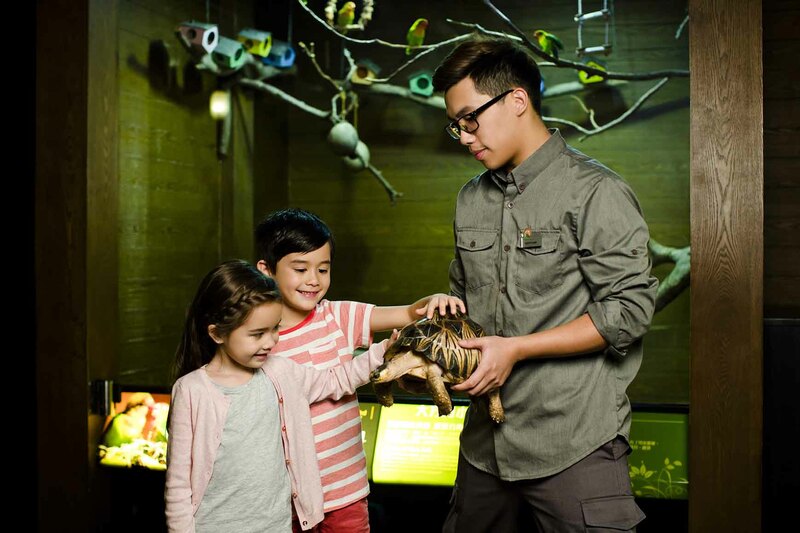 The Heritage Centre that displays the relics uncovered at Ma Wan and the windmill station that uses renewable energy help cultivate environmental protection awareness. 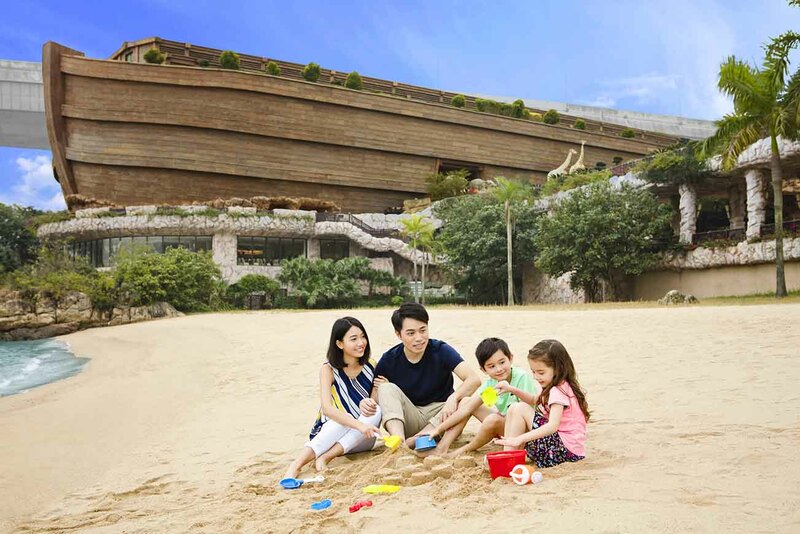 Travel to Noah’s Ark Hong Kong via ferry for a truly unforgettable experience, as it maximises your view of the famous bridge. To do this, use the Star Ferry to make your way to Central Pier and then hop on a connecting boat from the end of the Pier over to Park Island. The Park’s Nature Garden is a particularly lovely visit for nature fans as there’s over 1000 native trees here. And it’s worth taking a walk to the Hilltop Lookout for some of the best views of the Park’s surrounding bridges. It is possible to dip in and out of the Park’s gardens but before leaving the area, make sure you get one of the Park’s special UV stamps on your hand so you won’t have any trouble coming back in.